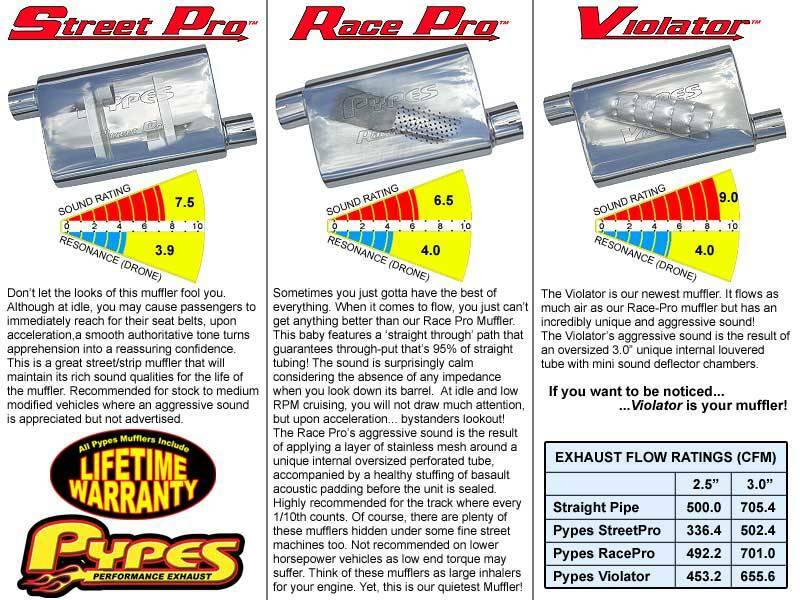 Price INCLUDES your choice of Pypes Mufflers! Select a pair to the right. 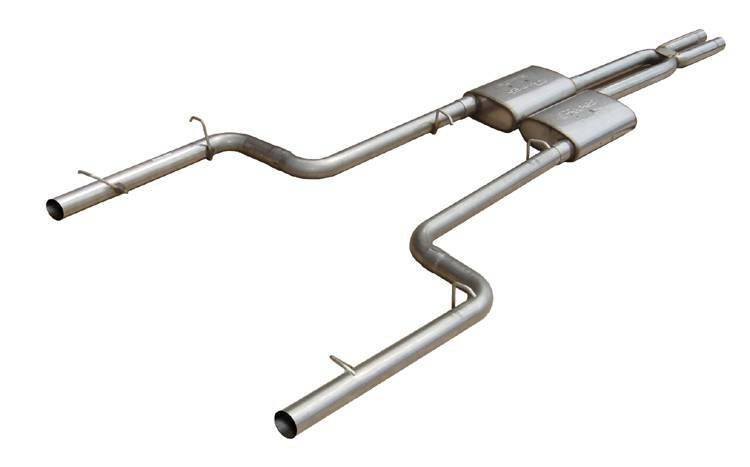 Includes all stainless siamese design X pipe, 1 piece slip fit tailpipes, Pypes mufflers, stainless band clamps. No cutting or welding required! Increases horsepower by 10-18. Pypes 2013 Dodge Charger 5.7L catback-Violators!!! I recently purchased this kit (June 2014) and was very pleased. The company was backordered on the standard violator muffler and the company upgraded me to the polished mufflers (in stock) no charge to me. What company does that today? ?...Thanks Pypes. The customer service and tech dept is very helpful...great tips on the install, thanks Brandon. The sound is really an understated rumble nothing radical like I thought is was going to be. It has that understated coolness sound that is much needed from the factory setup. I actually thought it would be louder but satisfied with what I got, kitted with the violators. The install was easy, less than 3hrs by myself in my garage, no lift, but ask the tech on some minor fitment issues which is just adjusting the pipes around to fit properly. The tech dept is more than helpful there. The are many other expensive kits out there but why give them hundreds more for the same thing. Pypes is very good quality and sound is second to none...Don't wait!! !